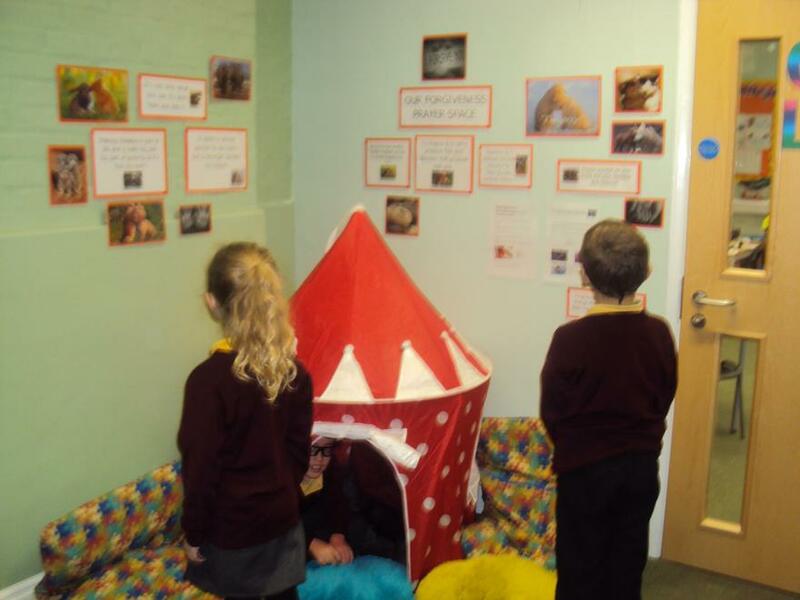 Last week we went round the school looking at the prayer spaces. 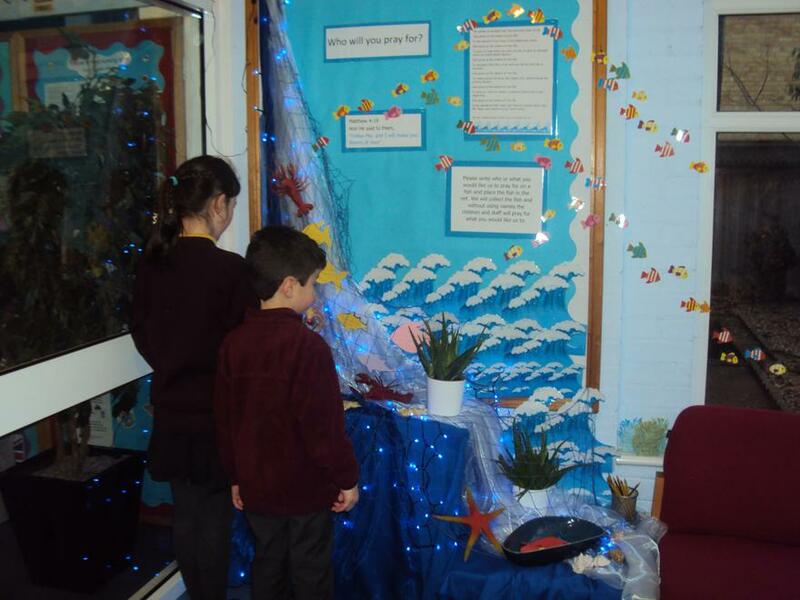 Each prayer space is very unique and eye catching. 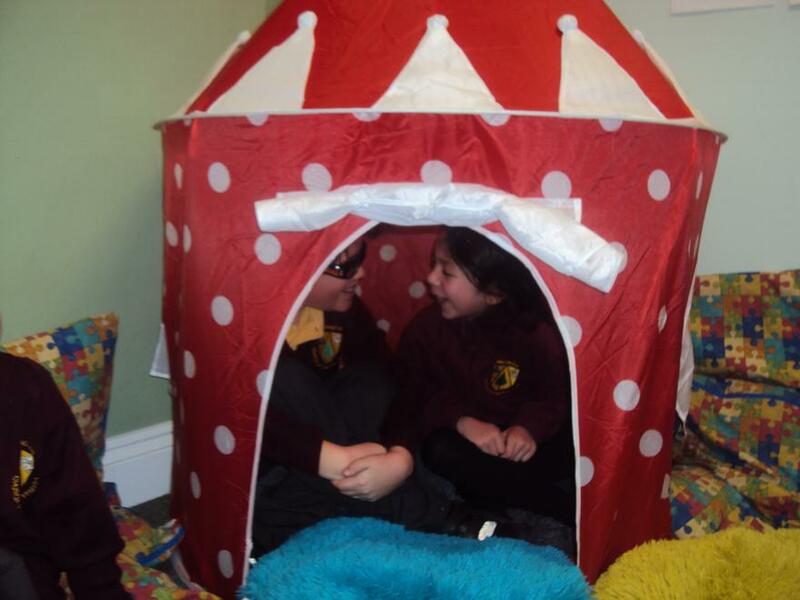 We will be telling our classes about these spaces and how to use them. 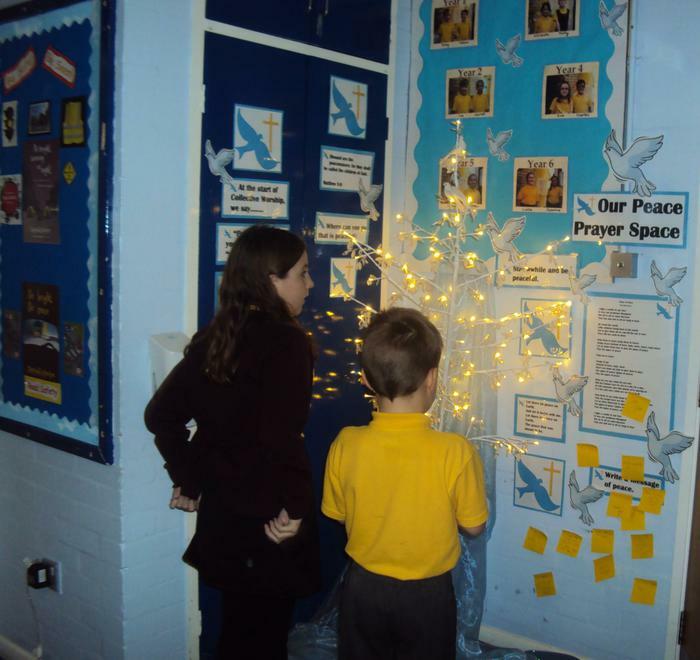 Our ‘peace’ prayer space by the Quex Hall has a beautiful peace tree. 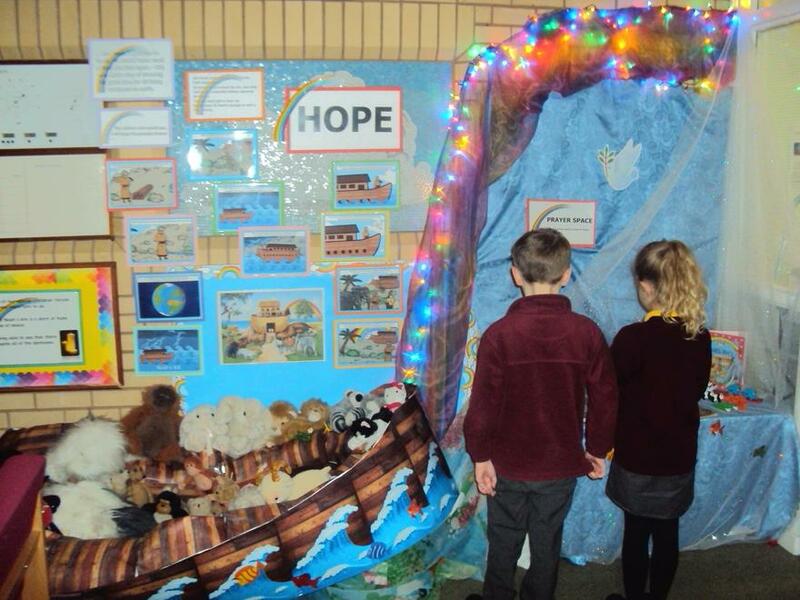 We went to the library to see the ‘forgiveness’ prayer space where we can say sorry for things we have done.